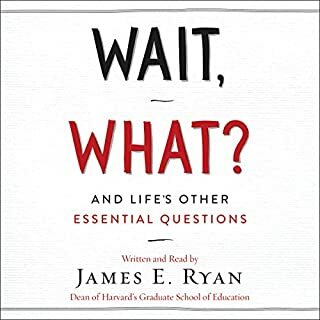 In his commencement address to the graduating class of 2016, James E. Ryan, dean of the Harvard University Graduate School of Education, offered remarkable advice to the crowd of hopeful men and women eager to make their marks on the world. The key to achieving emotional connections and social progress, he told them, can be found in five essential questions. Not enough meat of material. Tried but was not able to finish it. The story is a no story, borring. Everyone loves a good spy story, but most of the ones we hear are fictional. That's because the most dangerous and important spycraft is done in secret, often without anyone even noticing. 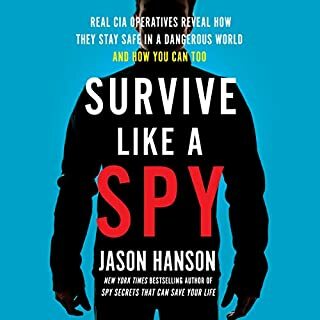 In Survive Like a Spy, best-selling author and former CIA officer Jason Hanson takes the listener deep inside the world of espionage, revealing true stories and expert tactics from real agents engaged in life-threatening missions around the world. Got it in hopes to get some ideas for a screenplay, but the book has no more useful info then one of episodes of "Burn Notice", just plain common sense. "The Black List" TV show provides more inside details.